Bob's Knob collimation screws for EdgeHD 925 or C9.25 Fastar allow you to collimate your instrument in an easier and more precise way in respect of the use of standard collimation screws that come with the telescope. In fact you will not have to use a screwdriver anymore but you will collimate your EdgeHD 925 or C9.25 Fastar telescope with your hand. 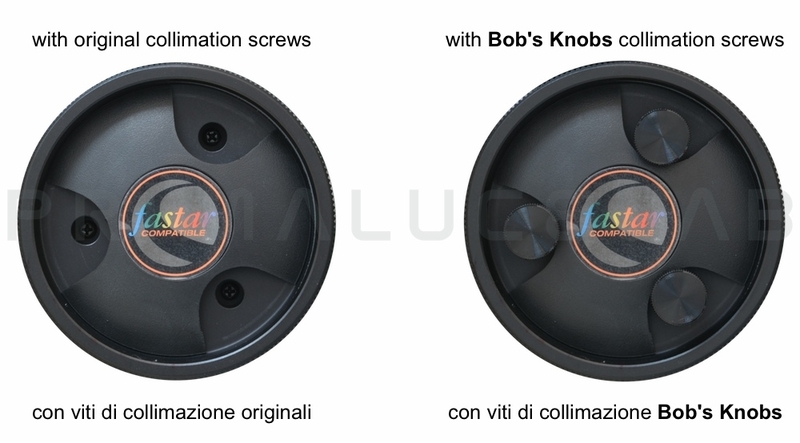 The installation of Bob's Knobs is simple: simply replace the screws already present on your telescope with those compatible for your optical tube.